Railpictures.ca - Paul Santos Photo: That new cab smell permeates the air…fresh plastic and vinyl. Revamped cab of CSX F40PH-2. | Railpictures.ca – Canadian Railway Photography – photographie ferroviaire Canadienne. Caption: That new cab smell permeates the air...fresh plastic and vinyl. 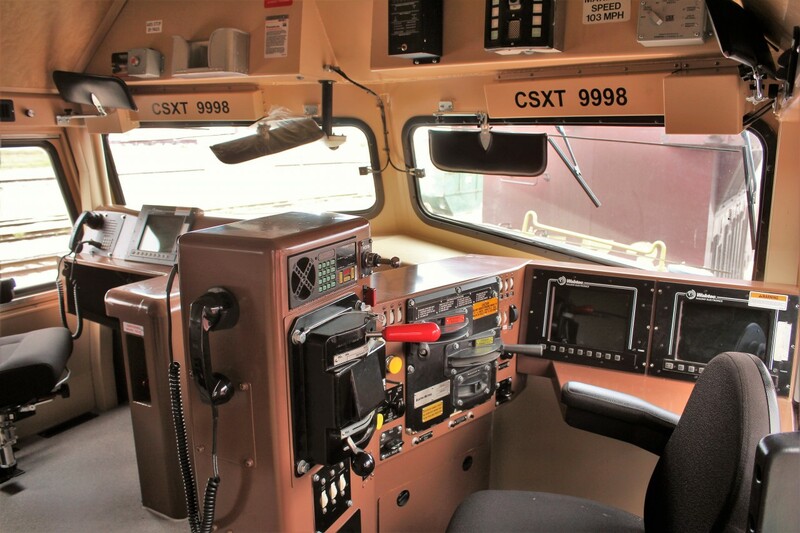 Revamped cab of CSX F40PH-2. 103mph? Seriously will this thing ever go that fast again? Can I get that for an air freshener? Lol.